The World Heritage Committee meets again in a few weeks in Bahrain to select the sites that will be listed in the UNESCO World Heritag List. Time for some Facts and figures before the big day arrives. UNESCO adopted the convention concerning the protection of the World cultural and natural heritage on 16 November 1972. It entered into force in 1975, and the first inscriptions on the World Heritage list followed in 1978. The convention defines cultural and natural heritage in a way that views in its entirety, in its overall context; and it states that it is incumbent on the international community as a whole to take part in protecting world heritage and transmitting it to future generations. In 1982 the old city of Jerusalem, “in view of the special political situation”, was the first cultural heritage site to be entered on a list of World heritage in danger. To date, the convention has been ratified by 190 states. Each state that is party to the convention recognizes the duty of ensuring protection of World Heritage sites within their frontiers and of conserving them for future generations. 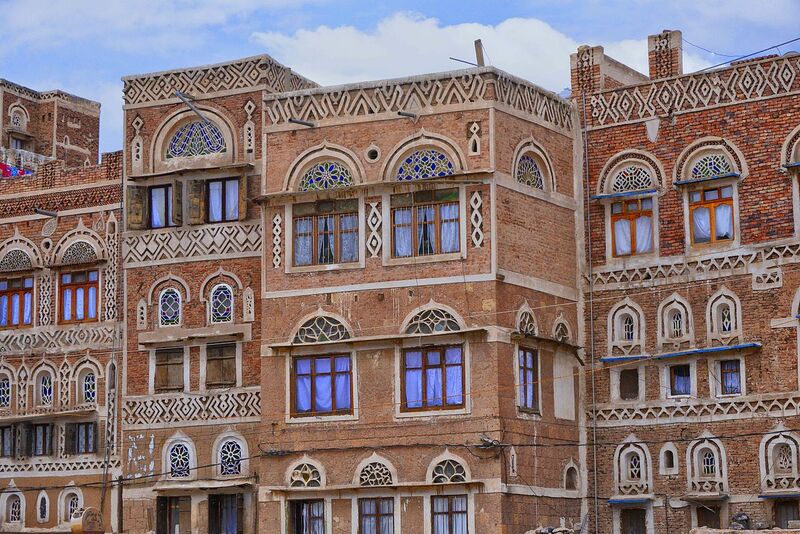 Old City of Sana’a. Yemen | Image: Wiki Commons. On the adoption of the global Strategy in 1994, the concept of cultural heritage was enlarged, with “cultural landscape” being added as a subcategory of “cultural site”. The UNESCO attaches priority to nominations from countries that don’t yet figure on the World Heritage list. This is because more than half of all world heritage sites formerly lay in Europe and North America. The definition of cultural heritage in Article 1 of the convention reflected the western world’s own definition of itself with reference to cultural heritage in the 1960s. In 1994 the Nara document on Authenticity, adopted in Nara, Japan, opened the way for the recognition of non-western concepts and techniques of conservation. The further development of the world heritage idea is also reflected in the membership of the World heritage committee. On this body, members from the southern hemisphere are gradually replacing and outnumbering members from the north. 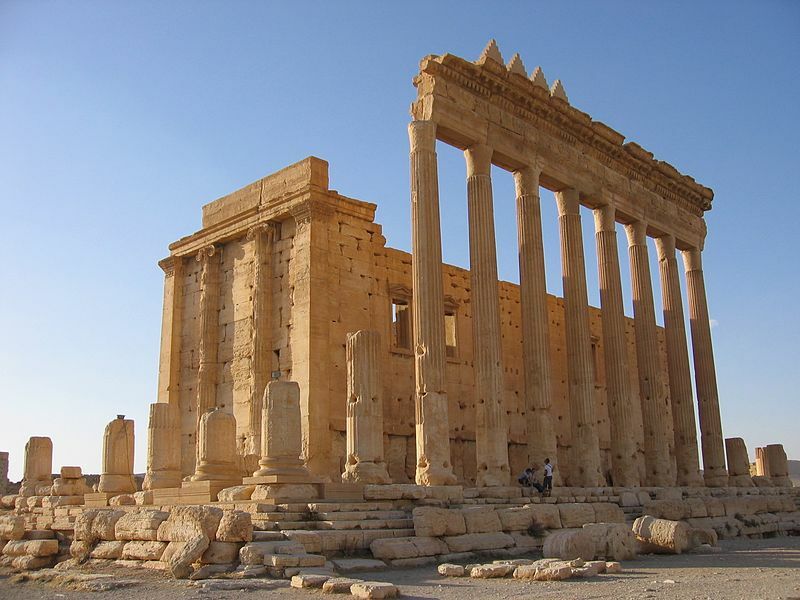 Temple of Bel in Palmyra. Destroyed in 2015 | Image: Wiki Commons. Over 1.000 cultural and natural heritage sites representing all the continents are registered on the UNESCO World heritage list. Of the 193 States parties to the UNESCO convention on the protection of cultural and natural heritage, 167 have properties on the World heritage list. The list of World Heritage in danger currently numbers 54 World Heritage sites, including the Old City of Sana’a in Yemen, the ancient city of Palmyra, Assur in Irak, the early Christian ruins of Abu Mena in Egypt and Everglades National Park in America. 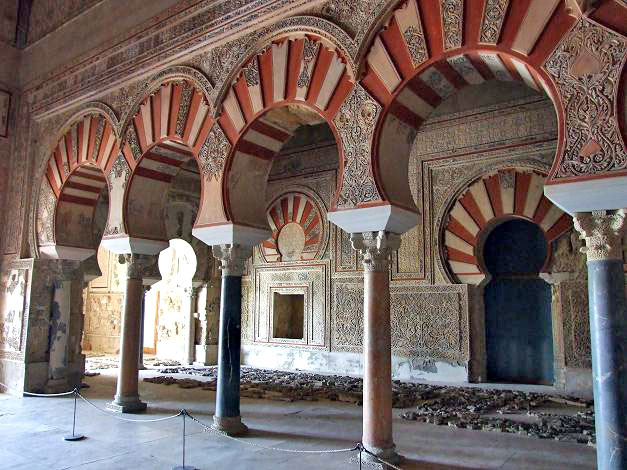 The UNESCO World Heritage committee checks every year whether the sites are still in danger. The World Heritage committee meets once a year to decide, among other things, on inscriptions on the World Heritage list. This year the 42nd session of the World Heritage Committee will take place between June 24 and July 4 in Bahrain. Proposals for inscription may only be submitted by member states, which, by doing so, accept responsibility for preservation of the site. 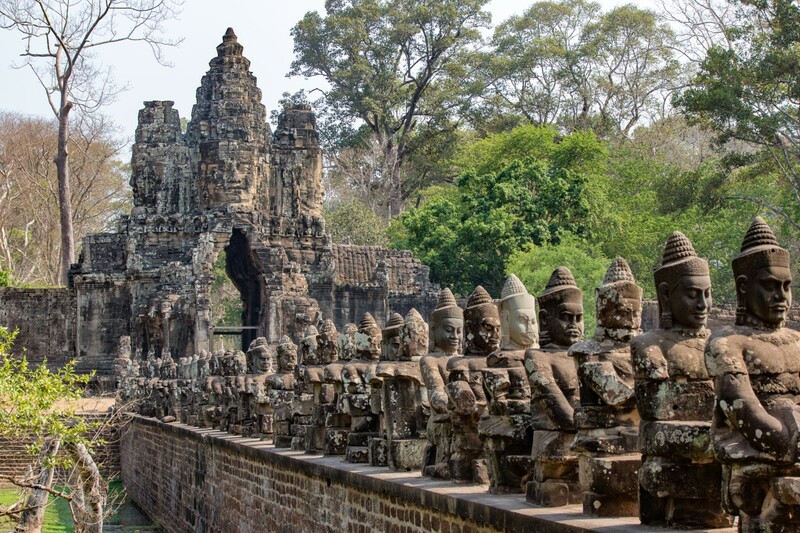 Image: Temple of Angkor Wat, Cambodia | pxhere. In a few weeks, between June 24 and July 4 2018, the World Heritage List will be reassessed in Bahrain during the 42. Session of the World Heritage Committee. Every year the Committee meets to select the sites to be listed on the UNESCO Word Heritage List. But what does it take to get on the Cultural Heritage List of the UNESCO? UNESCO requires the following commitment from states that have world heritage sites on their territory: “By signing the convention the States parties undertake to protect the world heritage sites lying within their borders and to preserve them for future generations.” There are ten criteria, one of which must be met, in order for a site, monument or feature to be designated world heritage. A cultural asset is deemed to be of “outstanding universal value” if, for example, it is a “masterpiece of human creative genius”, is representative of a type of art, building or landscape or an architectural or technological ensemble which reflects an important phase in human history, or if it bears witness to a cultural tradition or to a civilization that has disappeared. A site is considered to be natural heritage if it contains “superlative natural phenomena or areas of exceptional natural beauty and aesthetic importance”, if it illustrates a major phase in the earth’s history, represents significant ecological and biological processes, or contains important natural habitats for in-situ conservation of biological diversity. 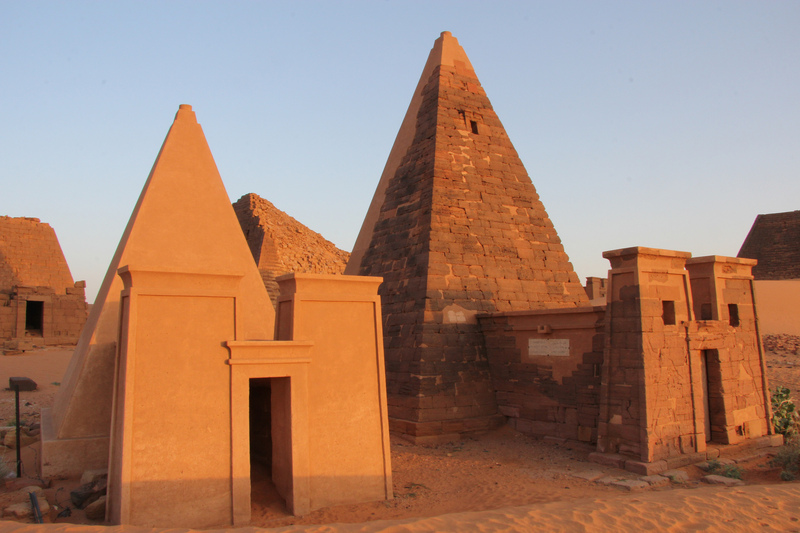 The pyramids of Meroe in Sudan are on the UNESCO World Heritage List since 2011. Image: DAI. The phase from the nomination to the inscription of newly proposed properties lasts at least 18 months – from February of a given year until the World Heritage Committee session in June/ July of the following year when a decision will be taken. The process begins with the UNESCO World Heritage centre inviting member states to submit a tentative list of properties situated within their borders which they may consider proposing for nomination. Nominations are then submitted before the 1st February deadline for evaluation and decision-making the following year. 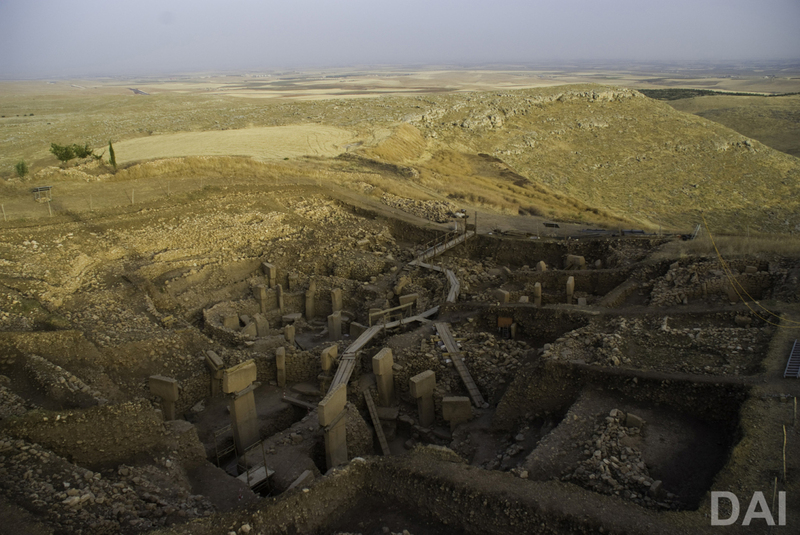 Göbekli Tepe is one of the most impressive Neolithic sites in the world. 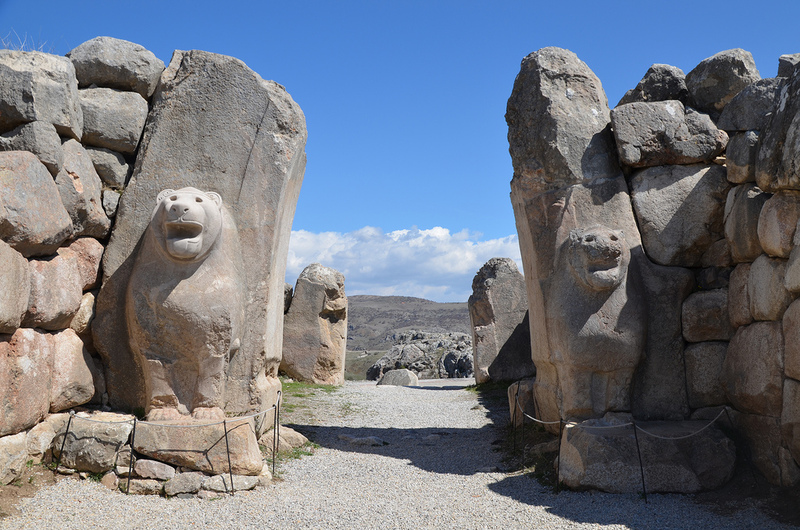 The site is on the tentative list of the UNESCO. Image: DAI. Submissions are assessed on behalf of the UNESCO World Heritage Committee by the international council on Monuments and Sites (ICOMOS) and the international Union for the conservation of nature (IUCN). On the basis of this expert evaluation the World Heritage committee then makes its final decision on whether or not nominated sites are to be inscribed on the world heritage list. But what does it actually mean when a monument, area or landscape changes its status, is no longer simply a site in a particular country, no longer “belongs” solely to that country, but suddenly becomes the “property” of all mankind? With the altered status comes a change in the state’s obligations, which now undertakes to protect and to preserve that portion of world heritage that is situated on its territory. Article 4 of the UNESCO World Heritage convention declares that each State party recognizes that “the duty of ensuring the identification, protection, conservation, presentation and transmission to future generations of the cultural and natural heritage referred to in Articles 1 and 2 and situated on its territory, belongs primarily to that State. It will do all it can to this end, to the utmost of its own resources and, where appropriate, with any international assistance and cooperation, in particular, financial, artistic, scientific and technical, which it may be able to obtain”. 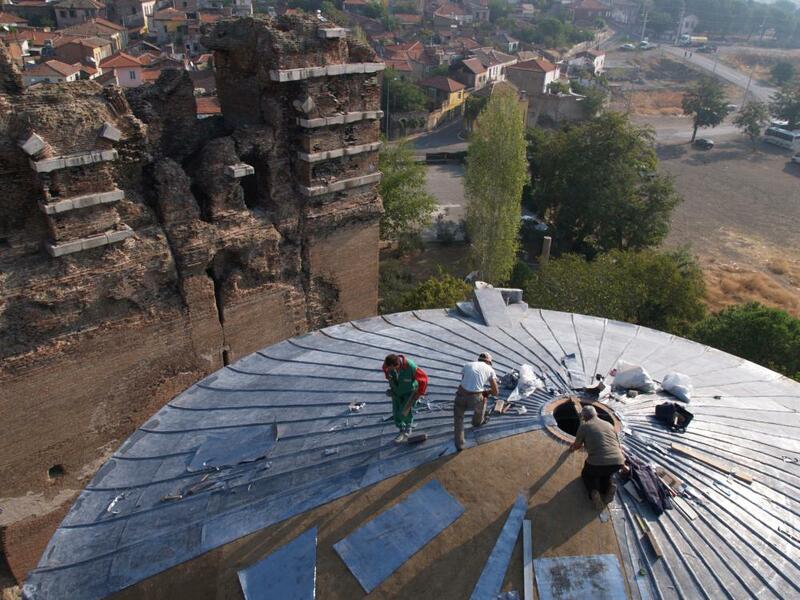 Conservation work at the World Heritage site Pergamon. Image: DAI. This is followed by a list of political, legal, financial, and personnel and infrastructure related measures that are considered appropriate for the preservation of cultural heritage for later generations. The main requirements in this catalogue are “to develop scientific and technical studies and research, […] to work out such operating methods as will make the State capable of counteracting the dangers that threaten its cultural or natural heritage [and] to foster the establishment or development of national or regional centres for training in the protection, conservation and presentation of cultural and natural heritage”. Archaeological research works at the very core of these definitions of world heritage and the catalogue of requirements for its preservation. Using the multi- and interdisciplinary methods described above, it investigates decisive changes in the course of human history: the introduction of agriculture and herding, the emergence of urban centres and complex systems of society, and the formation of symbolic order, which in many cases are the foundations of what still constitutes an important part of our implicit knowledge and thinking. 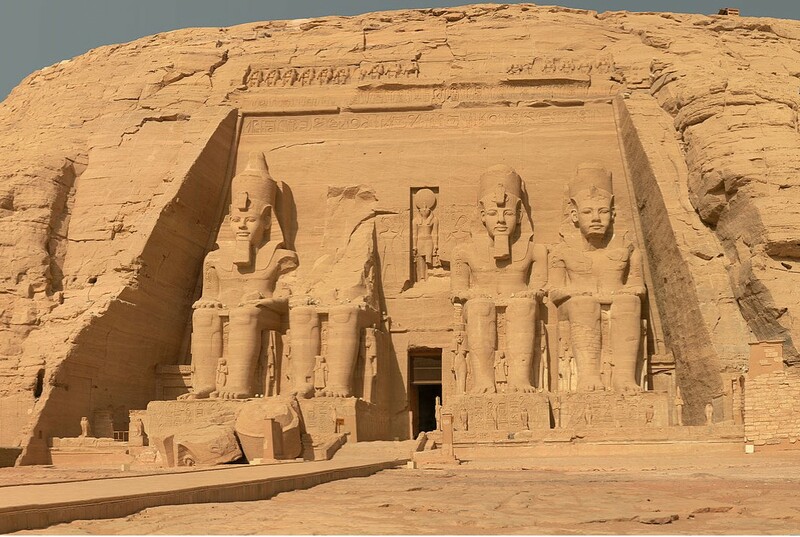 Traces of human activity can be found in spectacular objects like colossal statues or in tiny fragments of papyrus. Archaeological research works at the very core of these definitions of world heritage. Image: DAI. Architecture presents us with evidence of the past, but the evidence is not always immediately apparent, sometimes only revealing itself in reconstructions. Layer by layer, archaeologists unearth material remains in excavations, and use pile core analyses to create vegetation and climate archives; bones, plant remains and wood yield as much information about people’s way of life and mode of subsistence as ceramic and metal artefacts do. Texts, chiselled in stone, written on papyrus or imprinted in clay, allow all facets of past societies – whether state treaties, epic poetry or everyday accounting – to emerge into view. Research is concerned with understanding the overall context. 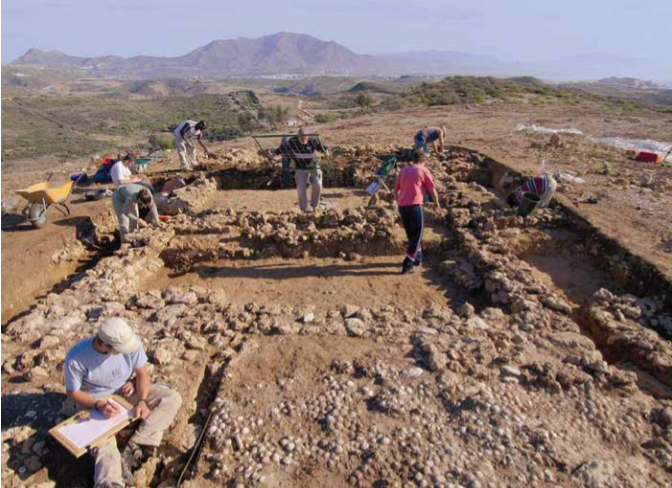 To ensure the excavated and vulnerable archaeological remains are preserved for future generations and to make both research and sustainable tourism viable at excavation sites, what is required is integral site management that encompasses an archaeological site or a cultural landscape in its entirety. How exactly should the historical remains be prepared for and displayed to tourists? And above all, how can the remains be protected in a way that is sustainable and complies with conservation practice? Whatever the measures taken, research and scientific documentation are essential requirements. Several German sites funded by the Cultural Preservation Programme of the Federal Foreign Office belong to the World Heritage List. The German Archaeological Institute works towards the preservation and sustainable maintenance of cultural heritage in its host and partner countries in Europe and worldwide. In doing so, it engages in active cultural policy and moreover is often able, through its archaeological work, to contribute towards regional economic development in those countries. The German Archaeological Institute project presented here is supported by the Cultural Preservation Programme of the Federal Foreign Office. It helps to preserve architecture in Uruk, facilitates the protection of outstanding monuments and improves tourism infrastructure. Parts of the highly diverse and outstanding cultural heritage in Iraq have been destroyed as a result of war and political instability. The archaeological site of Uruk is one of the most important ruined cities in Iraq in terms of cultural history. As far as is currently known, the ancient Near Eastern city was the birthplace of major developments in the history of humankind around 4500 B.C. In 2016, Uruk and other sites in southern Iraq were inscribed in the UNESCO World Heritage List as “The Ahwar of Southern Iraq: Refuge of Biodiversity and the Relict Landscape of the Mesopotamian Cities”. 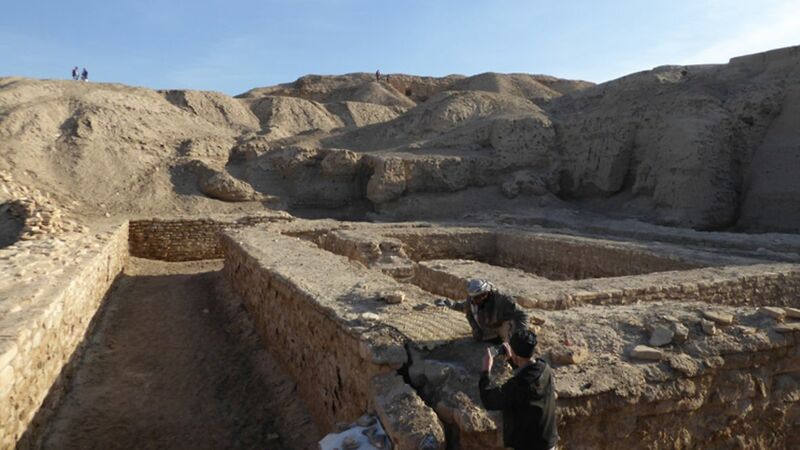 The German Archaeological Institute has led excavations in Uruk since 1954 and also carries out conservation measures. The German Archaeological Institute project presented here is supported by the Cultural Preservation Programme of the Federal Foreign Office. It helps to preserve architecture in Uruk, facilitates the protection of outstanding monuments and improves tourism infrastructure. The aim is to establish local structures to preserve archaeological sites in line with UNESCO standards and to guide the process involving the key excavation site in order to strengthen cultural identity among the population. Young Iraqi academics and the local population are specifically included in the planning and preservation, so that they will be able to carry out the work that will repeatedly be needed to conserve archaeological architecture in the future. The focus is on drawing up a detailed conservation plan for endangered archaeological buildings that will become increasingly important tourist destinations in the future. These buildings are made of brick, mud brick, rammed clay, chalk stone and cast stone. Some of them are in good condition and can be shown to the public. In such cases, conservation work is particularly important as regards halting decay in parts of the building that have already been excavated. Conservation concepts adapted to the buildings’ location in the site are often needed. In these cases, a decision must be made on whether it is better to present the original structure or to develop alternative concepts (such as a 3D presentation). Conservation projects involving archaeological monumental architecture and its subsequent preservation create apprenticeships and jobs in the cultural sector and are also a prerequisite for further planning in the tourism sector, which could develop into a significant source of revenue for the region. This cultural preservation project fosters collaboration between German and Iraqi experts and the inclusion of young Iraqi archaeologists. 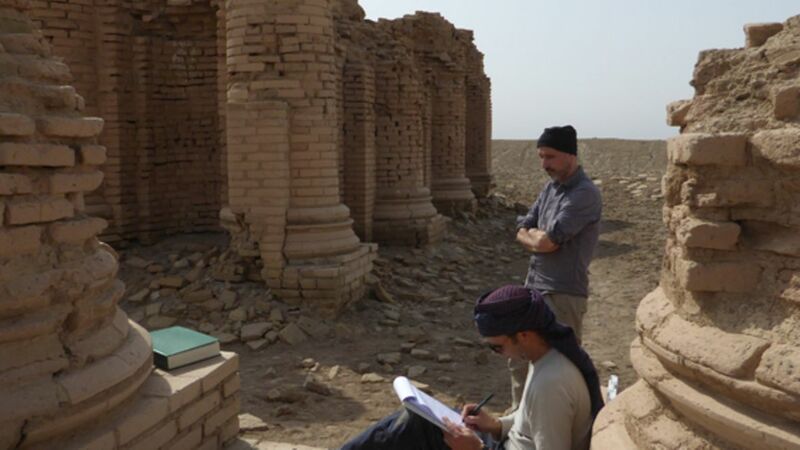 It is linked to the work of the Archaeological Heritage Network (ArcHerNet) and the further training course, Iraqi-German Expert Forum on Cultural Heritage, as part of the German Archaeological Institute project, Stunde Null – A Future for the Time after the Crisis.